This is a bundle of 2 Red Tommy Bahama Backpack Beach Chairs + 1 medium Tote Bag. 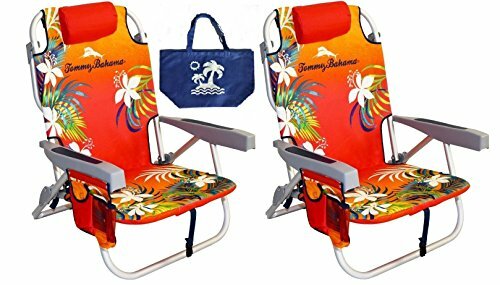 **The tote bag is NOT a Tommy Bahama article** FAQ: -How high is the seat from the ground? The seat is 9 inches from the ground. -What are the dimensions of the tote bag? The tote bag's dimensions are 13 x 20 x 8 inches.